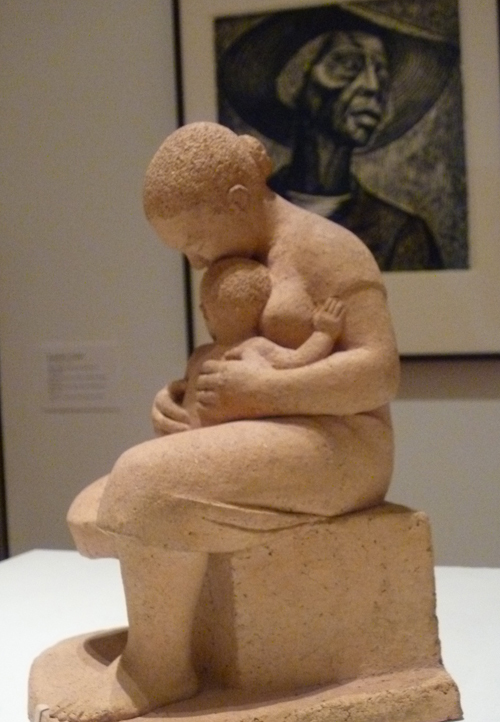 Elizabeth Catlett died last week. She was an African-American artist and member of the Taller Grafica Popular, the famed Mexico City printmaking collective. Her Mexico City friends included Frida Kahlo and Diego Rivera. 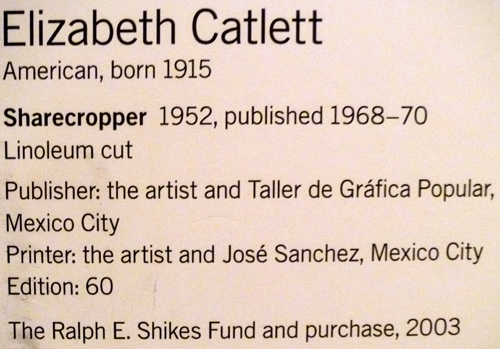 The U.S. obituaries generally referred to Ms. Catlett as a sculptor. In fact, the NY Times headline is Elizabeth Catlett, Sculptor With Eye on Social Issues, Is Dead at 96. I was familiar with Catlett’s graphic work, but I’d never seen her sculpture. Oddly enough, I came across this one, above, when I went to MOMA to see the Diego Rivera show. 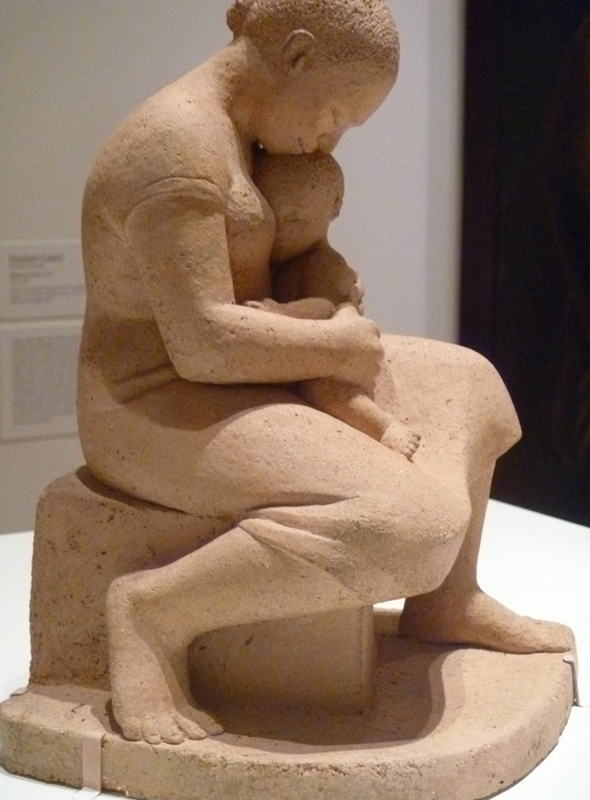 The terra-cotta Mother and Child is small but has a monumental feel. MOMA museum label for the print below. 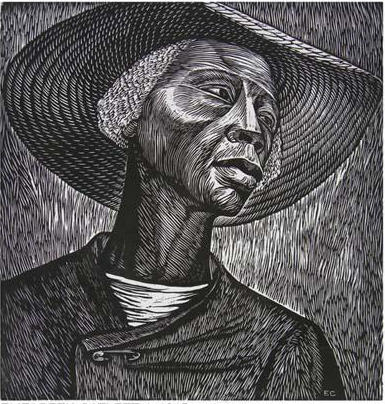 Sharecropper, Elizabeth Catlett, printed with Jose Sanchez, TGP, Mexico City. Sharecropper is one of Catlett’s master works. The safety-pin holding the coat together is a nice detail; I only noticed it now. Every deliberate mark Catlett made on this print adds up to a portrait of dignity. Update: View a larger sampling of Catlett’s artistic output in all its diversity at Ourstorian. The two Elizabeth Catlett works on view at the MOMA.